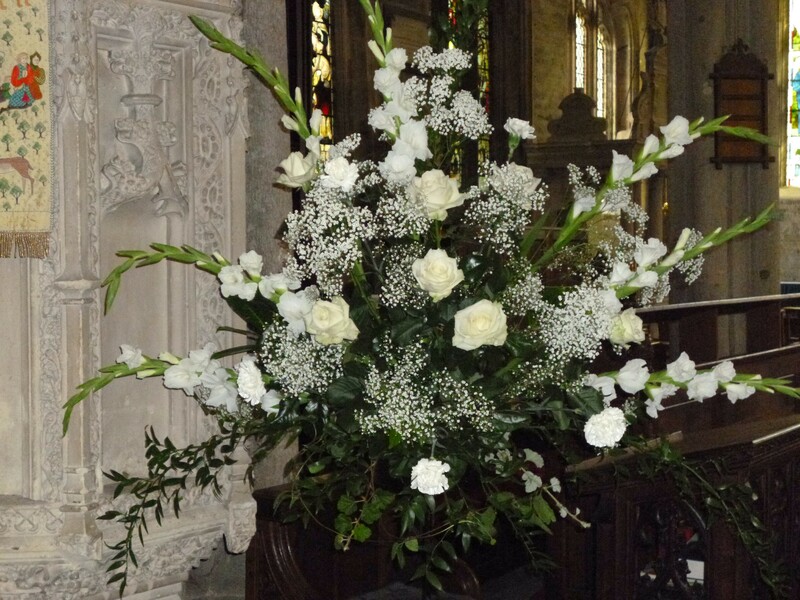 Did you know that over 40 people arrange flowers in key areas in the church throughout most of the year? Each person undertakes to provide and arrange flowers for a month in one place. 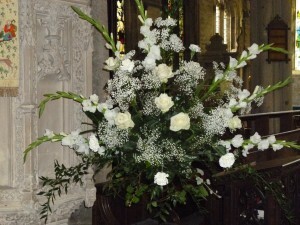 At major festivals, Christmas, Easter and Harvest, a group of us work together to decorate the whole church. There is always a lovely, friendly atmosphere on these occasions. 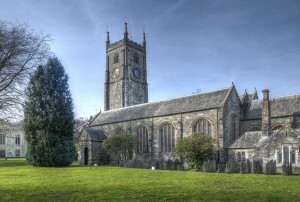 We are none of us professionals; we just enjoy arranging flowers, doing the best we can to enhance our beautiful church. We try to source flowers from our gardens or from local suppliers and growers. What can you do to help? There are several ways: join the team and go on the rota; come and help at Harvest, Christmas or Easter; provide flowers, greenery or a donation; link up with someone on the rota to help in any way. If you have a special request we will always try to meet your requirements. Please come and talk to me (Pam) after the 9.45 am service or contact Pam Hunter on 614200.